Bridges around the world. No matter how many I crossed, there is always room for one more. They come in all shapes and sizes. They span over rivers and ravines. They run above highways and forests. Ultimately, they connect. That’s what we all need now: bridges, not walls. I spent my early formative years in a city of bridges. Every weekend my mother, a history buff, took me with her on some urban exploration excursions. Inevitably, we had to cross a bridge or two. They were intimately whimsical or unapproachably brutalist, wide or narrow, perfectly maintained or falling apart. If you looked closely, every bridge had its own personality. Regardless of their character traits, they all had one thing in common: they led you further ahead stimulating your curiosity. Smartphone era was still years away, and I didn’t have a camera of my own. All I have from those days are memories that slowly fading away. Life’s got so much easier in digital times. It became inconceivable not to have detailed visual chronicles of travel adventures. The other day, a message popped up on my screen: there are more than 62K photos in my Photos library. Thanks to this nifty thing called AI, this number doesn’t sound as scary as just a few years ago. Proof? I can type “bridge” and, voilà, they all neatly line up in front of me opening floodgates of memories. 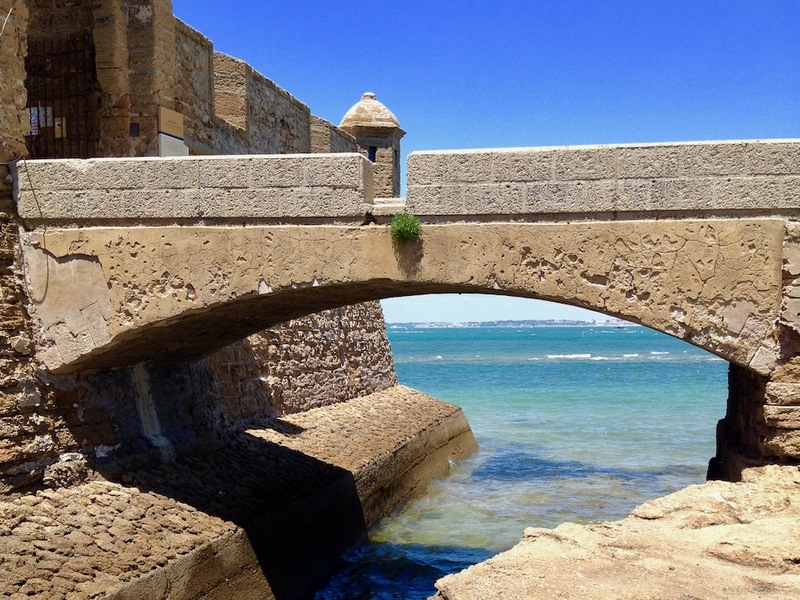 Are they the most beautiful bridges in the world? Do they qualify as unbelievable bridges in the world? Shall we check what’s there? 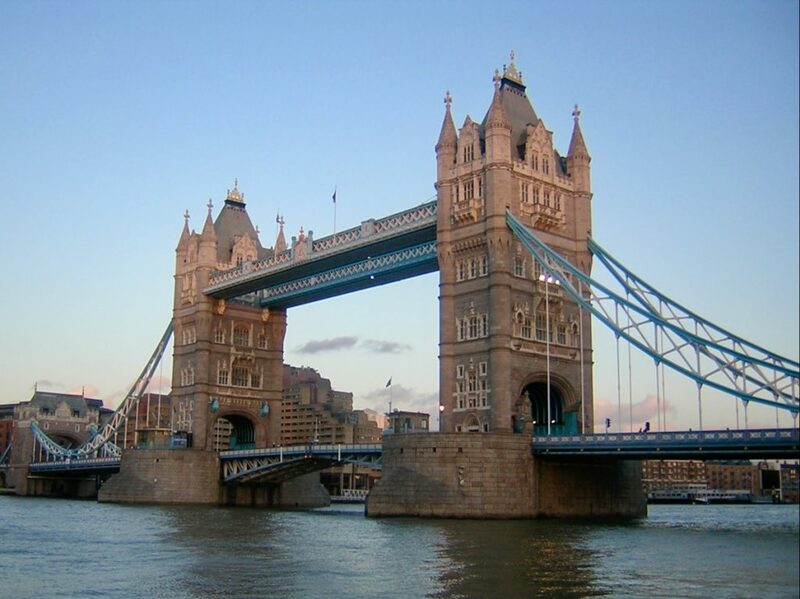 Tower Bridge is an iconic symbol of London. Check what else you can see if you have a short layover in the UK capital. Surely you recognize the silhouette? Arguably, it is one of the most recognized symbols of San Francisco. This is one of the first bridges in my digital archive. The reason I love it is that the most widely known photos of the Golden Gate Bridge depict it in red. 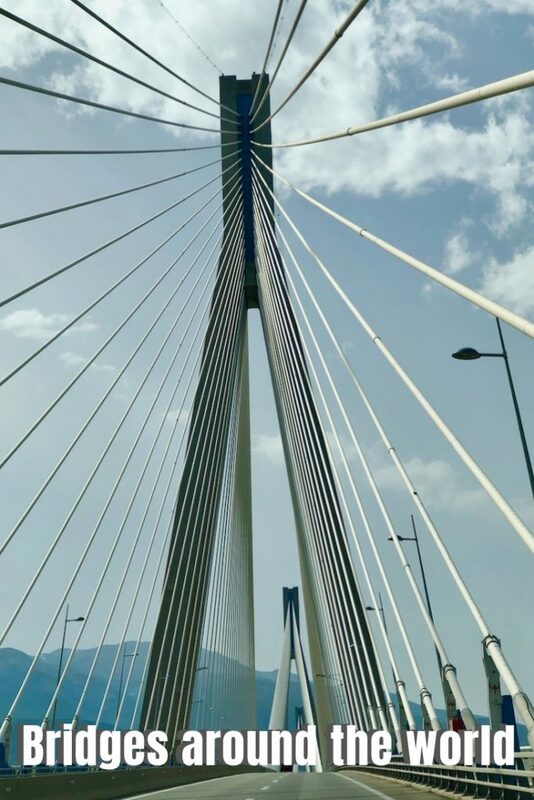 The uniqueness of this photo is in the fact that it shows the outline of the bridge without revealing too many details while the iconic shape is in full view. It took four years to build. Construction began in 1933 during the Great Depression. The bridge had been finished ahead of schedule in 1937. The bridge was named after the Golden Gate Strait, which is the entrance to the San Francisco Bay from the Pacific Ocean. The bridge is famous for its color. It is officially called orange vermilion aka international orange. 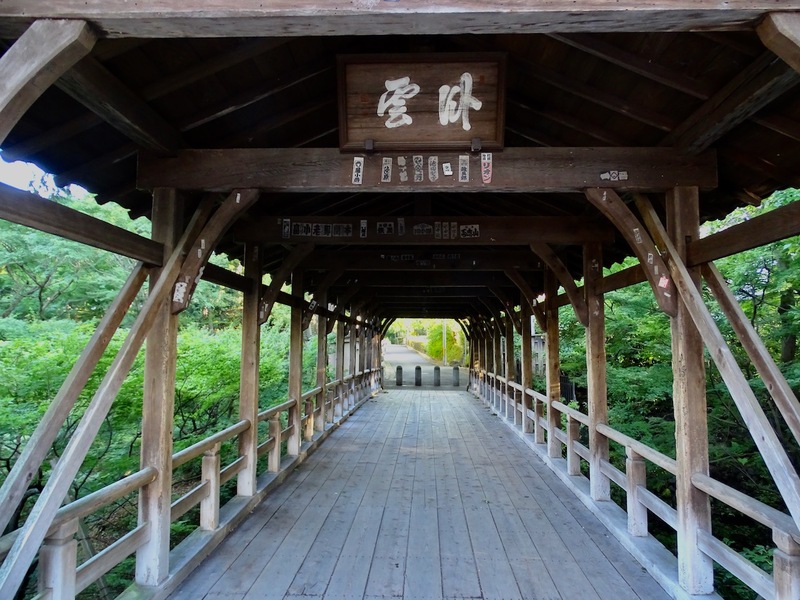 The color complements the natural surroundings and enhances the bridge’s visibility. 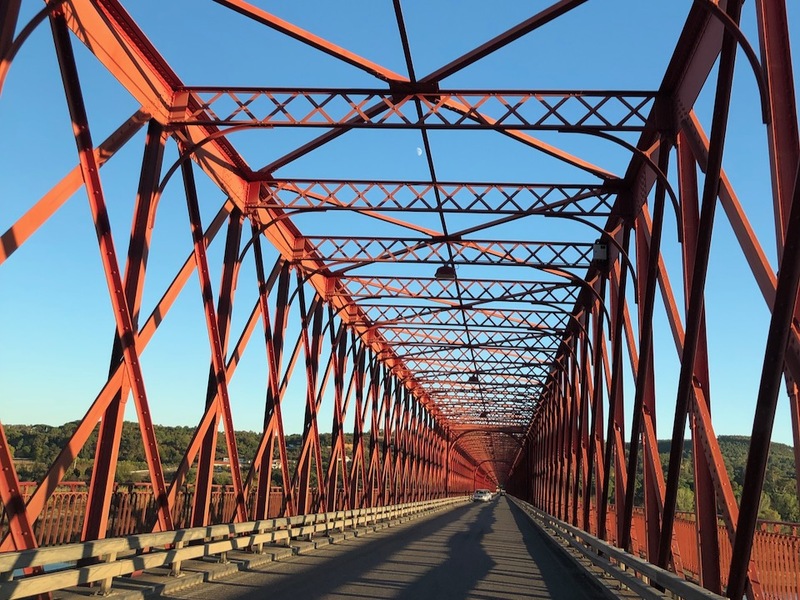 The paint is specially formulated to protect the bridge from rust from salt spray, and the moisture of the frequent fogs. 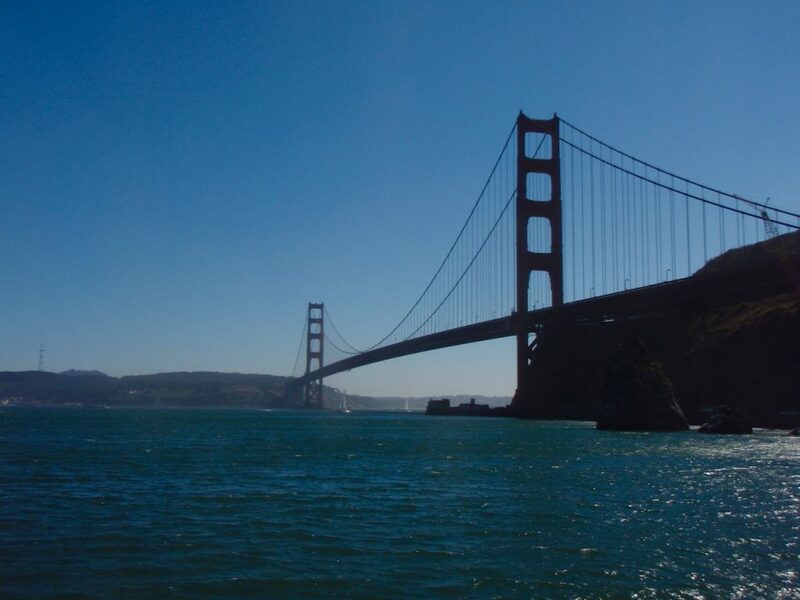 Until 1964, the Golden Gate Bridge was the longest suspension bridge in the world. Today, it is the 11th. At the top of the list is the Akashi-Kaikyo Bridge in Japan. 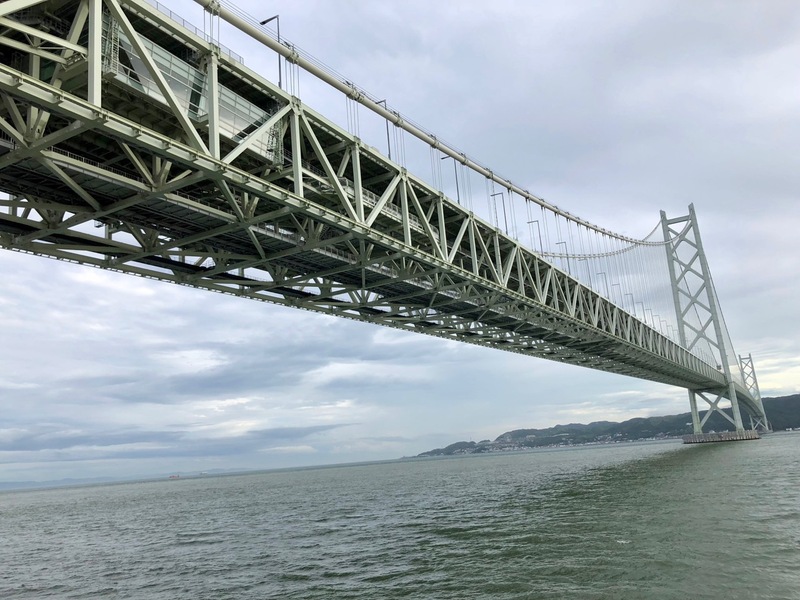 Speaking of the devil, one of our extended excursions in Japan brought us to this extraordinary example of modern engineering and the current leader among famous suspension bridges around the world. The Akashi Kaikyo Bridge crosses the Akashi Strait (in English, kaikyo means strait), connecting Kobe on the mainland with Awaji Island, the sixth largest island in Japan. The central span was initially only 1,990 meters. The Kobe earthquake of 1995 moved the two towers so that it had to be increased by 1 meter. Read about this technological marvel. Akashi Kaikyo Bridge, the longest suspension bridge in the world, is just a short train ride away from Kobe. 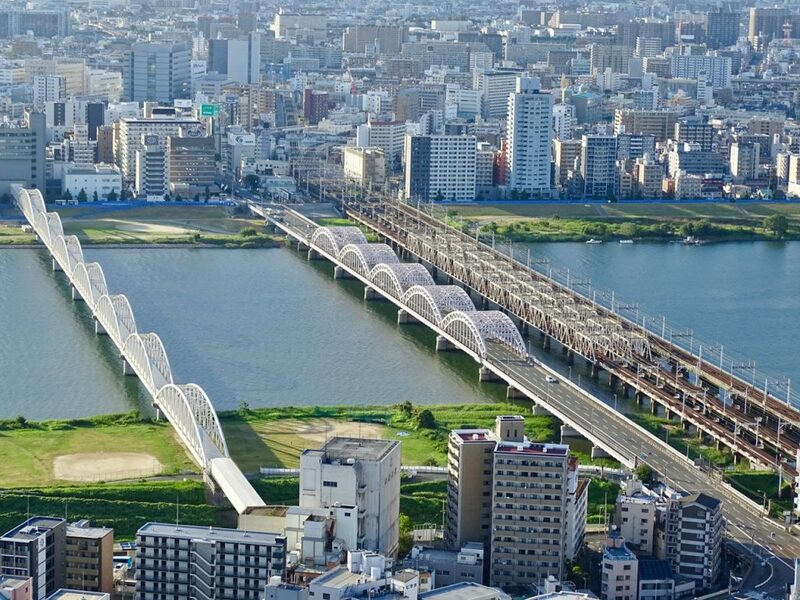 From ancient covered structures to slick minimalistic giants, the Land of the Rising Sun is a paradise for bridge lovers. This rustic veteran, sandwiched between Kyoto’s famous temples, carries charm and simplicity of centuries of the woodwork. Osaka has the reputation of the food capital of Japan and, according to Lonely Planet, It’s not a pretty city in the conventional sense. It falls somewhere between the ancient grandeur and wisdom of Kyoto and modernist urbanism of Tokyo. It carries a bit of both but doesn’t excel in either. Instead, it has its own very unique sense of style. Look at these bridges – they adorn the river like exquisite bracelets. Its official name is Hakone-Seiroku Mishima Grand Suspension Bridge, but everybody affectionately calls it Mishima Skywalk. Sometimes, two-word description is all you need. 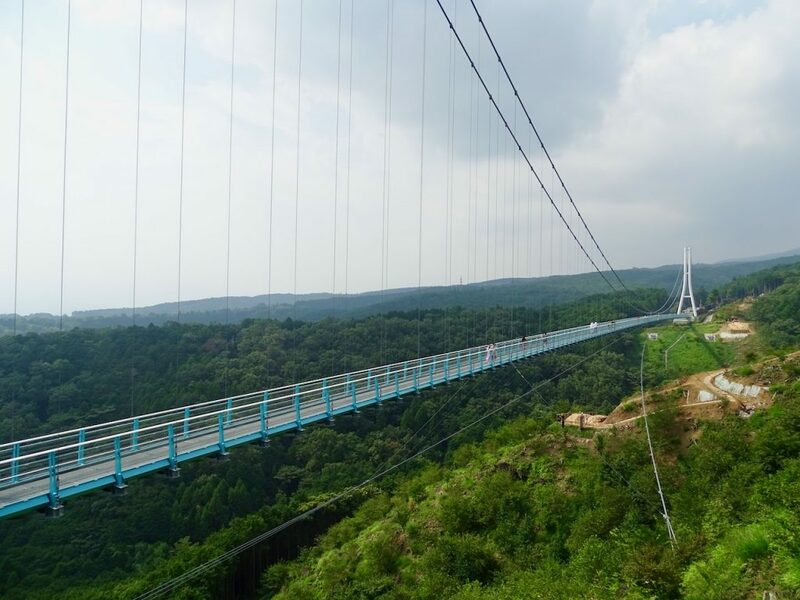 The longest pedestrian suspension bridge in Japan hanging over a 70 meters deep ravine, the bridge looks like a contemporary jewel comfortably resting between ancient mountains covered by an emerald green forest. At 400 meters long, it was purposefully built wide enough to accommodate 2 wheelchairs moving in opposite directions. Imagine, seeing three extraordinary Japanese attractions at once: the Skywalk, the longest; Mt. Fuji, the tallest; and Suruga Bay, the deepest. Notoriously hot and humid summer weather causes the clouds to gather around upper portions of the mountains. During our visit, Mt. Fuji was fully obscured from views. Moving down south brings us to the beautiful island. Literally. Thanks to Portuguese affectionate admiration, Taiwan used to be known as Formosa (aka beautiful island). 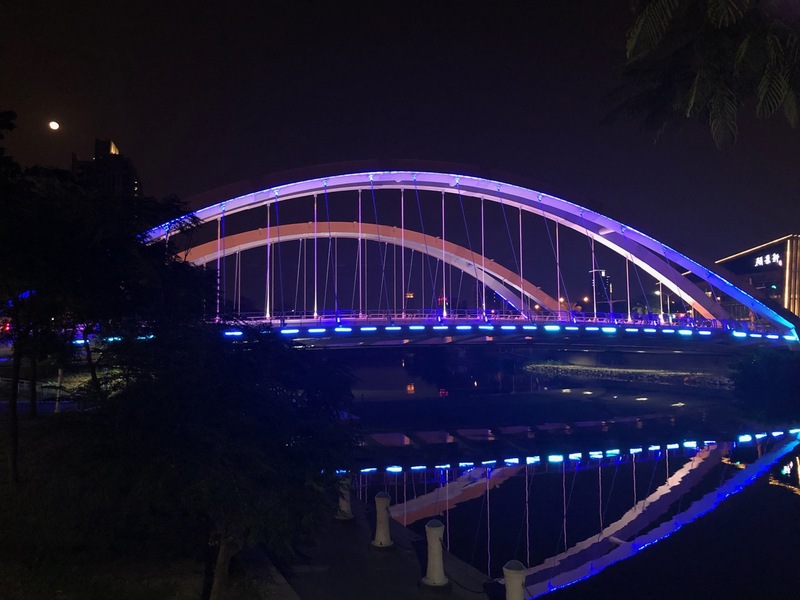 In stark contrast to serene landscapes with fairytale bridges, Kaohsiung, the youngest city on the island, is strikingly modern. 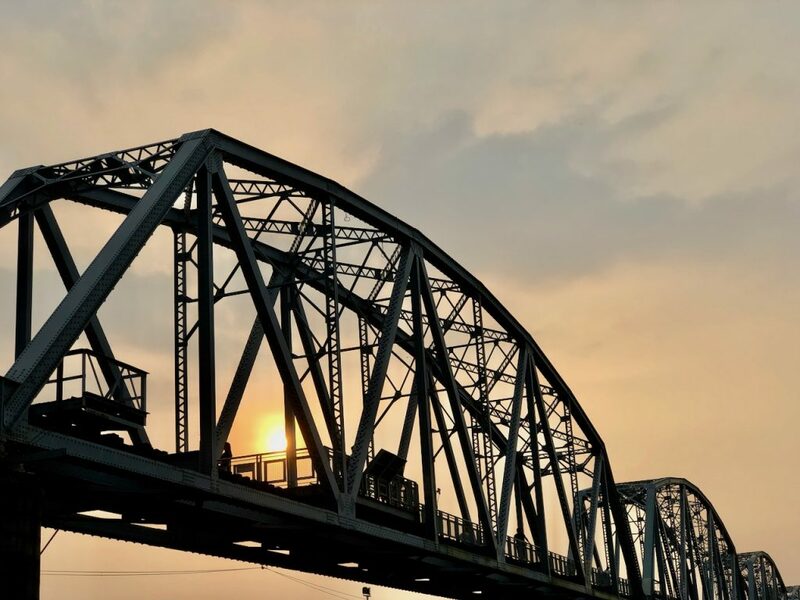 Just over a century ago, during the Japanese rule in Taiwan, Xiadanshui River Steel Bridge was built to address military and transportation demands. It was officially opened in 1914. 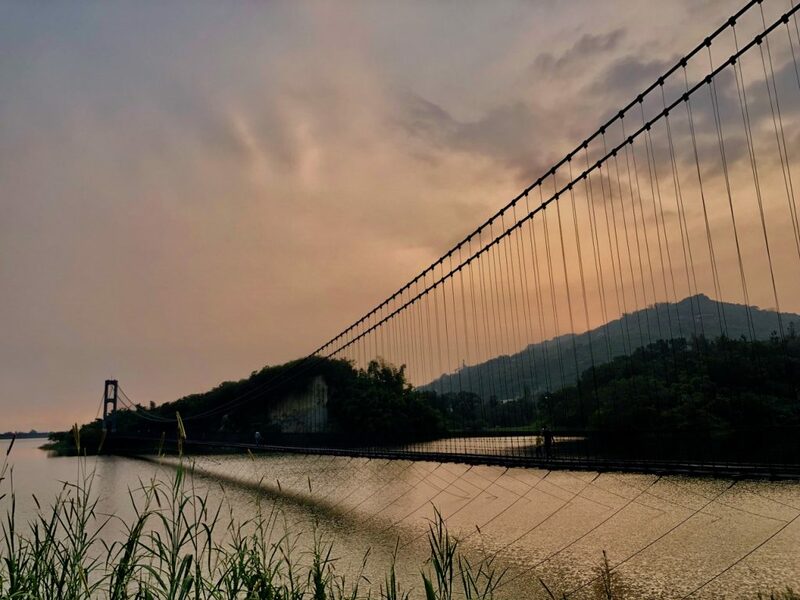 With the total length of 1526 meters, it was the longest bridge in Far East China. At the intersection of Europe and Asia lies a tiny fiercely independent country called Georgia. 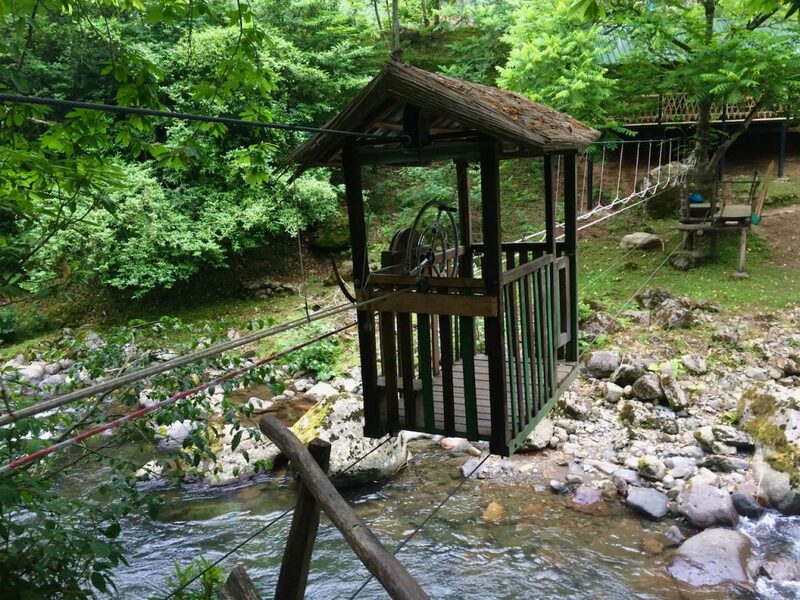 In its southwestern corner in the ancient Adjara region, we found the most adorable mode of transportation. I am not sure what’s the “official” name of this device in English, so I called it a rolling bridge. In Paris, 37 bridges are crossing the Seine; five out of them are pedestrian ones. The passerelle Léopold-Sédar-Senghor (aka passerelle Solférino), is a footbridge over the River Seine linking the Musée d’Orsay and the Jardin des Tuileries (Tuileries Gardens). 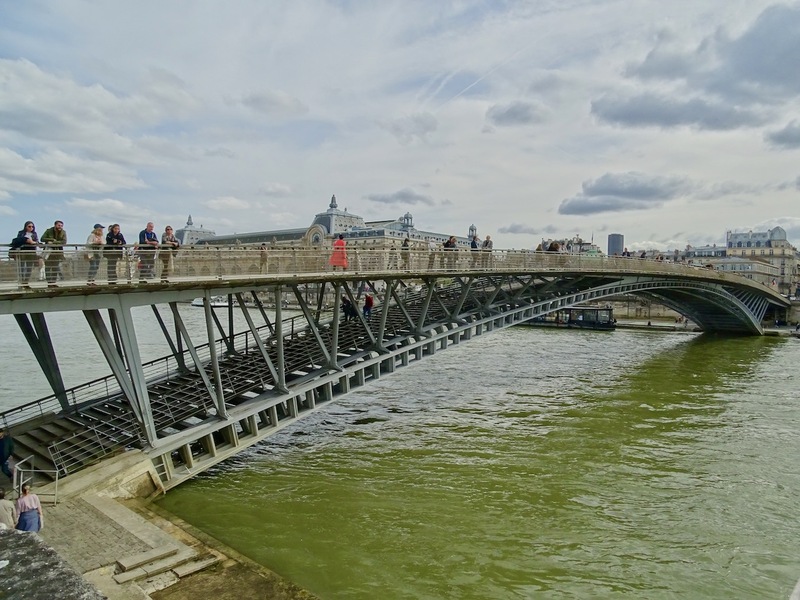 It is called a “passerelle” and not a “pont” because there is only pedestrian traffic. Crossing the Seine with a single span and no piers, the bridge looks so light and elegant. It is perfectly proportioned creating a unique masterpiece of engineering. The bridge is divided into two arches superimposed on the deck; the lower one is resting on the banks and the upper – on the docks. Arguably, it is one of the prettiest bridges in Paris. I hope some of my favorite bridges from around the world would inspire you to see new places and, perhaps, cross some bridges too.